For the love of life: Happy Birthday Eryn!!! Our Design Team on Ippity decided to make banner cards for Eryn, as it is her birthday today. 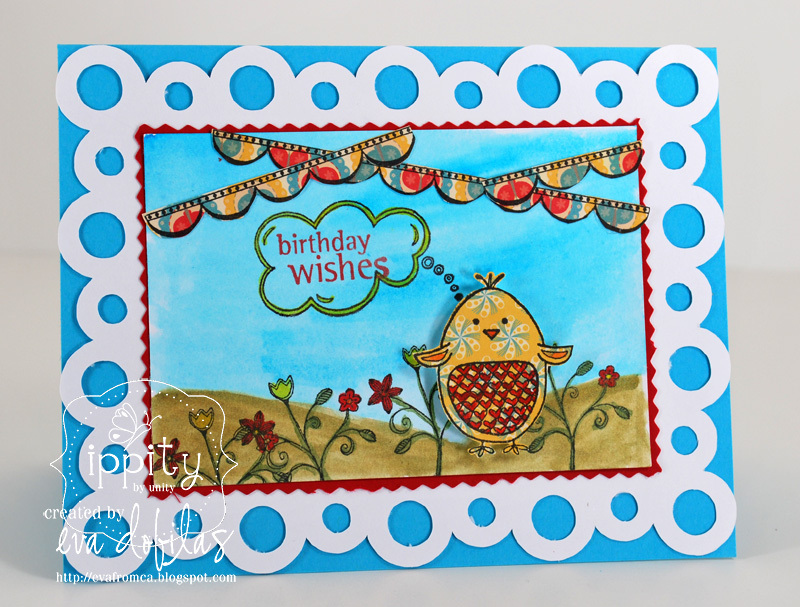 If you haven't been to the Ippity blog yet, hurry over to see all the pretty banners on our cards made just for her! On my card I am using a Samantha Walker Silhouette cut called Framed Scalloped Dot. I also painted my background and my chickie with Twinkling H2O's...it's pretty shimmery and I sure hope Eryn will like it, too! I used the Sweet Thoughts of Spring set, which the banners are from, too and the papers are Cosmo Cricket. Eryn, wishing you much Love and Happiness and a very special day spent surrounded by your loved ones!